This week, Northwell Health will be at the AORN Global Surgical Conference & Expo. If you’re attending the conference, visit our recruiters at the AORN Career Center – Convention Center Room #153A on April 1 and April 2, or you can come by our booth #537, April 2-4. Make the most of your conference experience by reading the advice directly from our hiring managers. Not attending the conference? That’s okay, too. The advice below will help you with your career journey to join Northwell Health. It may not seem like a big deal, but arriving on time, dressing appropriately, and following directions can make a big difference. More than that, be engaged, and actively listen. And, of course, always bring a resume. It’s a familiar, but true statement, that people don’t care how much you know until they know how much you care. Be enthusiastic, research your desired employers, and be prepared to ask intelligent, insightful questions. At Northwell Health, we’re looking for those candidates who go above and beyond. We seek those who are knowledgeable, but also willing and eager to learn new things. You must be willing to educate yourself on new procedures and products, specialty certified, or interested in obtaining certification. Above all, you must be focused on putting the patient and patient safety first. To experience first hand all we have to offer surgical nurses, come meet us in person. If you’re not attending, visit our Careers page on Facebook to get to know us, our opportunities, and our culture. When you do, we’ll share all the advantages of a career in surgical nursing at Northwell Health . In addition to our state-of-the-art technology, you’ll benefit from working with a team of the top clinical professionals in the field with nursing leadership that is active, engaged and supportive. Nurses seeking to work at the leading edge of cardiac care have to look no further than Long Island. 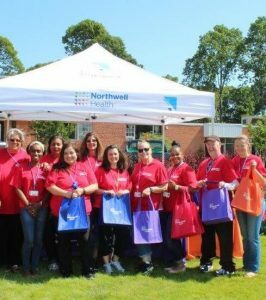 With two outstanding hospitals – Southside Hospital and Peconic Bay Medical Center, Northwell Health is bringing the best cardiac care – and cardiac nursing careers – right to the communities of eastern Long Island. Looking for award winning, record setting achievements to match your own career aspirations? Southside Hospital is currently expanding cardiac capabilities with additional cath labs, EP labs, 24/7 cardiac care and testing. We’re looking for top nurses that will fill a variety of cardiac positions – from surgery to recovery to cath lab to cardiac rehab and more. Whatever the role, nurses enjoy a family-like working environment with management that is strong, supportive, transformational, and hands-on. Southside Hospital offers ongoing continuing education, Master’s programs, certification support and a high level of career mobility. Peconic Bay Medical Center, a proud member of Northwell Health, offers nurses ground-floor opportunities to contribute to an exciting transformational culture. This location is opening a state-of-the-art cardiac center that includes cath lab, electrophysiology and advanced cardiac care. To realize this bold vision, the hospital needs high potential achievers with the skills and determination to take cardiac care to new heights. 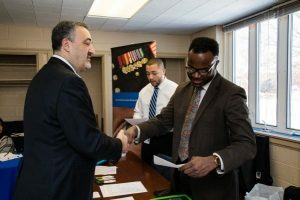 It’s part of our culture to offer training and learning resources unlike anywhere else, from our simulation center to the opportunity to train at world-class facilities to an award-winning corporate university and the Hofstra Northwell School of Medicine. Regardless of which hospital, the future is the same. Northwell Health cardiac nurses get the opportunity to transform the future of cardiac care in an exceptional location. The area offers close proximity to all of the excitement and activities of New York City, yet with a style all its own that makes it seem a world away. There are inviting vineyards and wineries, unique boutiques and shops, wonderful bistros and restaurants, peaceful and nostalgic farms and much more. In less than an hour, you can find yourself at the beach, the Hamptons, Fire Island or any number of other great destinations. On top of all that, it’s just a short trip to the endless activities and excitement of Manhattan. Register to attend our events today. In 2016 Laura Iacono, the Neurosurgical Intensive Care Unit (NSCU) Nurse Manager at North Shore University Hospital, helped the hospital obtain the prestigious Silver Beacon Award. 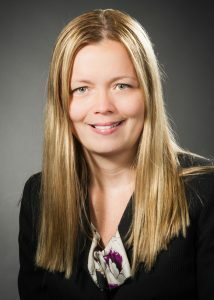 Her passion for staff development, professionalism and empowerment has resulted in the NSCU’s achievement of 60% advanced certification by bedside nurses and 70% Clinical Ladder Nurses. The NSCU is a leader in quality metrics, with a 66% reduction in CAUTI, 100% reduction in CLABSI, 75% reduction in pressure ulcers and a 25% reduction in falls in 2015. Iacono was also the recipient of the Nurse Leader Excellence Award at North Shore University Hospital and the Nurse.com GEM Northeast Reginal Winner for Nursing Leadership. “This is not an award for my accomplishments, but an award that tells the story of a team committed to excellence every day with every patient,” said Iacono when she received the GEM award. She pointed to North Shore University Hospital’s neurosurgical ICU unit winning the AACN Silver Beacon Award for Excellence and the process she and fellow nurses pursued as her proudest moments. “Now they [the nurses] know the strength of the team is so much stronger than the individual,” Iacono said. She said the Beacon award confirmed her ability to encourage and empower her staff – and the staff in turn showed a positive attitude on the unit, even under difficult circumstances. The decision to stick with what she knew best and what she enjoyed most—neuroscience nursing—has been instrumental in her practice. “It excites me, it drives me and inspires me every day,” she said. An early mentor, Beth Honan, was the educator who passed on to Iacono a depth of knowledge and later met with her and other nurses weekly in preparation for the neuroscience certification exam. “I would watch her talk to physicians about patients and see how the physicians respected her knowledge and judgment, and I knew I wanted to be just like her,” Iacono said of Honan. 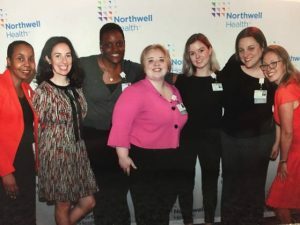 Q: Please explain why you chose to pursue your career at Northwell Health. A: I grew up in Queens and Northwell Health’s Long Island Jewish Medical Center (LIJMC) was the hospital in our community. When I was in my early 20’s my mom got very sick and was a patient at LIJMC as well as Hospice Care Network, a proud member of Northwell Health. I remember the great care that both my mom and family received during our difficult time. Although my mom passed, I will never forget how supportive and caring the employees were. When I was graduating college I saw an opportunity at Hospice Care Network for an HR Generalist position. I knew that I needed to be part of an organization that did such rewarding work so I explored the position. What better way to enter the field of Human Resources! 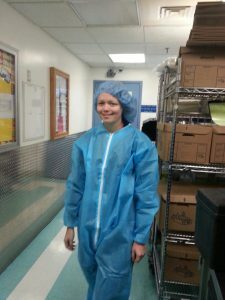 I worked there for two years and really felt like I was giving back. I did eventually leave to work in a corporate HR Manager role but after eight years away, I realized that I needed to go back to healthcare and continue to support their great mission and staff. A job posting found its way to me for a Human Resources Business Partner (HRBP) Director role at LIJMC and I decided to pursue it. The opportunity appealed to me because it was a strategic business partner role working directly with the hospital leadership team as well as front line staff. That is how I found my way back to Northwell Health. Q: Please explain your career progressions throughout the years. A: When I returned to Northwell Health at LIJMC I assumed the Human Resources Business Partner role. 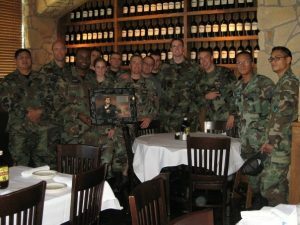 During my first year I was embedded in the operation, focused on building relationships and led employee engagement and talent management efforts for my work groups of 1000+ employees. I was also able to build my competence in labor relations. 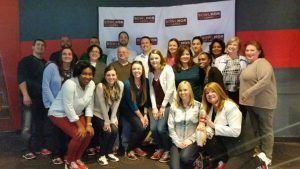 I was part of a great campus HR team that was not only supportive but fun. 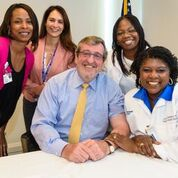 After my first year, the lead HRBP role opened at Zucker Hillside Hospital (ZHH) with 1200+ employees. Supporting the field of behavioral health is a great experience and I found a calling working in a facility with this population of patients. 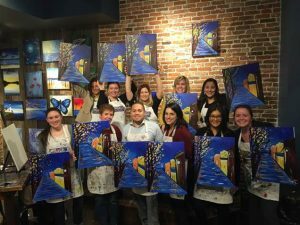 In the lead Business partner role, I was a member of the Executive Leadership team and able to develop strategy and lead HR and Patient experience programs that contributed to the facility achieving its business goals. I was also able to work on corporate projects such as the myrecognition program and acted as a thought partner on various talent management initiatives. I worked in this role for two years. An opportunity then presented itself that would expand my responsibilities and I moved to South Oaks Hospital to be the lead HRBP. South Oaks is also a behavioral health facility but has a three hundred bed nursing and rehabilitation center on the campus with a total of 1300+ employees. I have been in this role for a year now and it has been an amazing experience. Similar to ZHH I am a member of the executive leadership team working to develop and executive our strategy to build leadership capabilities, employee engagement and workforce planning to enhance our patient experience. I am also leading the HR and change management efforts to integrate this facility into Northwell Health’s HR programs and technology. 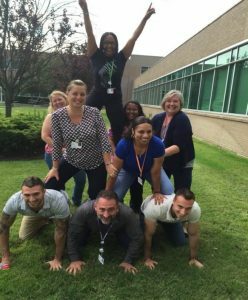 Q: What does it mean for you to be a part of Northwell Health’s Human Resources team? 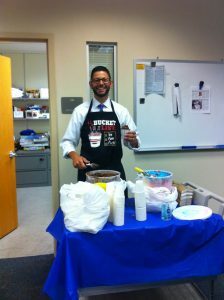 As we celebrate Healthcare Human Resources Week we spoke with Chief People Officer, Joe Moscola, about his own transition from Physician Assistant to a Human Resources professional, as well as the transformation of HR careers within healthcare and the amazing team he has throughout the many facilities within our organization. Can you please tell me about your career progression and what led you into an HR role? I started my career as a Cardiac Surgery Physician Assistant. Coming out of training there was nothing I wanted to do more and so I begged for my first job as a new graduate. After practicing for a number of years, I had this nagging feeling that would not go away that I had more to give. My career goal had always been to help change people’s lives which a clinical role certainly allowed me to do but I felt like I could make an even bigger impact. Unsure of what to do next, a mentor of mine encouraged me to go back to school and “do something about it”. Upon receiving a Master in Business Administration I went on to become a project manager outside of the health system however quickly returned taking on a number of operational roles throughout the health system. While having the privilege of holding the role of SVP of Ambulatory Operations our President and CEO Michael Dowling approached me about taking over as the head of Human Resources. This was during a time when the role and future of HR in organizations across all industries was being called to question. Michael’s offer immediately intrigued me because I felt like this type of a role would further allow me to advance my career goal. Now having been in the role for some time I look back at the last number of years and consider myself very lucky to have been given this opportunity. The work we do and the value we provide to our most valuable asset, our people, is a privilege. How have HR careers in healthcare changed over the years? How do you see them developing in the future? Over the past decade, top healthcare executives have been relying more and more on HR for innovative and data driven business strategies. In the world of big data and more advanced technology, HR professionals have needed to be data and digitally savvy, focusing on measurable actions that move the business toward its goals. This has transformed traditionally transactional HR roles into more strategic ones. Within the Health System, our HR team has embraced that change. We continue to move away from just the day-to-day management of HR operations and have focused on becoming true partners with the business. This has resulted in HR’s greater commitment to workforce planning, shaping culture and the employee experience, coaching and developing leaders, building talent pipelines and empowering managers by driving self-service. 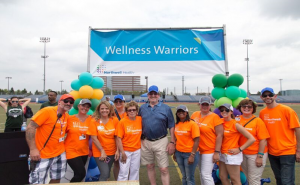 Given that we are a healthcare organization, we’ve also had the ability and support to drive more HR roles within the wellness space, focusing on the holistic well-being of our employees. As technology continues to advance and we really focus on the overall experience our employees, new roles will develop within HR. These roles will require advanced skill sets. Our HR professionals will need to be more analytical and enablers of change, with a focus on supporting a diverse and inclusive environment. 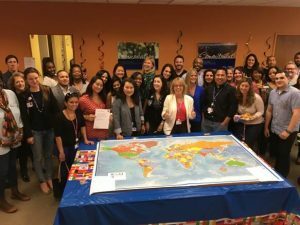 How does HR within Northwell impact our organization? We support business strategy and help to maximize the potential of our strongest asset, our people. We focus on the well-being of our employees within our culture of caring, innovation and safety, enabling them to be their best, so they can take care of others. We affect the business from the hiring to retiring of our employees, ensuring that we have the right people in the right jobs at the right time in an environment that values diversity and fosters inclusion. We empower our current and future leaders by providing development opportunities and support along their journeys. We help ensure that our employees are rewarded appropriately and recognized for the great work that they do. What would you like to say to our HR employees during their recognition week? Thank you! I am so proud of this team and all that we have been able to accomplish together. Our people are the backbone of this organization and we affect them every day. The work that we do matters. By providing support to our employees we enable them to do their job of providing care to our patients effectively and compassionately. Every patient that chooses us to take care of them deserves exceptional customer experience and the highest quality of care possible. Because of you, our employees are able to provide that. I knew I wanted to join Northwell Health because the entire system strives to improve our communities through education, conduction of research and providing quality healthcare. I chose North Shore University Hospital primarily because it is a teaching hospital and offered the William Randolph Hearst Critical Care Fellowship. I already knew I wanted to be a critical care nurse when I graduated and this unique fellowship that was offered was just the beginning of my journey. When I began my fellowship 10 years ago, it was broken down into three phases which included patient simulation experiences, didactic learning sessions and direct patient care assignments. The various phases provided the required tools and prepared me to be an effective Neurosurgical ICU nurse. Now, I have the privilege of being a preceptor for the new fellows and thoroughly enjoy the experience. After my fellowship ended, I received an RN position within the same department, Nerosurgical ICU (NSCU), and each day brings a new experience. Being at the bedside and advocating for my patients at a crucial time during their recovery is what drives me. The NSCU team is exceptional and I consider them my family. Over the years I have served in various capacities such as the co-chair for the Collaborative Care Council, Beacon committee member, peer interview panel member, and participate in various performance improvement projects such as Quiet time and serve as the CAUTI champion. 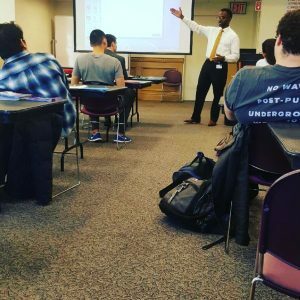 I am currently enrolled in the first Manhasset cohort for a Masters in Leadership program, which is a great opportunity provided by the health system. I knew I wanted to continue to do great things for this health system and when a Catheter Associated Urinary Tract Infection (CAUTI) problem arose in 2011 I was able to make a real difference in decreasing the percentage of patients that acquired an infection. The team that I was on developed an evidence-based CAUTI bundle that consisted of insertion and maintenance of indwelling urinary catheters (IUC), early catheter removal with development of a straight catheterization protocol and focused collaboration between nurses and physicians to review catheter necessity during patient rounds. Initially focus was on urine backflow prevention, creating criteria for when to obtain urine cultures and developing a protocol for straight catheterization based on bladder ultrasound results. Once we had our goals and a plan in place we began implementation from the years 2012 to 2014. In 2012 a 19% reduction in CAUTI was achieved. In September 2013, four NSCU nurses including myself were accepted into the AACN CSI Academy with CAUTI reduction as our leadership project and in 2014, the four CAUTI Champions hosted a week of CAUTI prevention. We created and distributed unit based t-shirts with the acronym NSCU (Nurses Stopping Catheter Usage), performed peer skills validation on perineal and IUC care and further revised the protocols for straight catheterization and bladder scanning. In 2014, CAUTIs were reduced by 24%, the number of device days were reduced by 31% and this outcome resulted in a, $112.000 saving. Various practices initiated on our unit were then presented at the hospital wide CAUTI carnival. This brought about a change in the culture of our unit and we have presented the results at various hospital sessions and conferences nationwide. We continue to focus on sustainability and have noticed a significant decrease in all other Hospital Acquired Infections (HAI). Working for this health system has provided me with all of the opportunities I could hope for in a nursing career – from fellowship training to becoming a mentor, complex cases, educational aid, and leadership opportunities – I wouldn’t want to have established my career anywhere else. 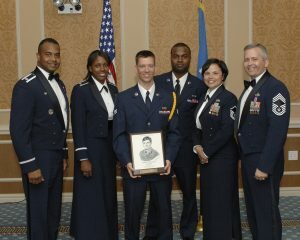 All this was possible because of the commitment and dedication of the NSCU team. I would like to thank my manger, Laura Iacono, for her encouragement and guidance as well as, Tara Laumenede, our director. My gratitude to my AACN CSI mentors Marian Altman and Debbie Brinker who provided the necessary tools for the success of our project. A special thank you to my coach, Launette Woolforde, who was instrumental in the success of the CAUTI initiative and our CNO, Kerri Scanlon, who is an inspiration. Picture: From left to right, Sherley is the second women on the left.